Members of the NEMT will probably be aware of the legal challenge mounted by The Cairngorms Campaign and others to the housing policies of the Cairngorms National Park Authority (CNPA) as set out in their Local Plan - a challenge which was generously supported financially by the NEMT and many individuals in the autumn of 2011. Most mountaineers and conservationists find it both incredible and unforgivable that the CNPA, the body responsible for the long-term wellbeing of the largest National Park in Britain, should be actively supporting the construction of large housing estates in many of the villages and towns of the Strathspey and Deeside, as well as an entire New Town on an undeveloped site of lowland heath and ancient woodland on the other side of the Spey from Aviemore. Based upon purely speculative estimates of the number of prospective incomers, the CNPA is putting new houses for migrants, retirees, holiday homes and commuters ahead of the natural heritage of the Cairngorms. If you want to judge the success of the planning process in the Cairngorms in recent years, take a trip to Aviemore and look around. The Cairngorms Campaign decided to try to derail these major developments by challenging the legality of the CNPA's Local Plan by means of a formal Objection. The Case was heard in the Court of Session by Lord Glennie over four days from 10 to 13 January 2012, and his Opinion or judgement was issued on 21 September 2012. At 180 pages, it is a long read: Lord Glennie acknowledged that ".. this Opinion is considerably longer than I would have wished it to be, and it has taken longer to produce than I had hoped." You may read the full Opinion at: www.scotcourts.gov.uk/opinions/2012CSOH153.html and in setting out the background law so clearly, Lord Glennie's exposition is a very useful primer on much of the environmental and planning law relevant to Scotland's wild land. But to cut a long Opinion short - he rejected all the arguments put forward by The Cairngorms Campaign, and upheld the right of the CNPA to support its proposals for very large housing developments in the National Park, including in particular its support for the entire New Town at An Camus Mor. We believe that it is almost self-evident that the protection of the landscape and wildlife which should be guaranteed in a National Park should include (at least) the exclusion of huge new housing estates and the construction of a New Town, and that a National Park Authority should strongly reject such proposals from land-owners and commercial developers, not encourage them! But this is exactly what the Cairngorms National Park Authority is doing. Inevitably, any legal argument tends to end up focussed upon the wording of documents, and the procedures adopted in taking a decision, rather than the merits of the decision itself. The Challenge was a formal Appeal under S238 of the Town and Country Planning (Scotland) Act 1997 to the decision by the CNPA to adopt the Cairngorms National Park Local Plan, and specifically to four development policies proposed in that Local Plan - an allocation for 40 houses at Nethy Bridge, an allocation for 117 houses at Carrbridge, an allocation for up to 300 houses in Kingussie and an allocation for up to 1500 houses with associated infrastructure to form a New Town at An Camus Mor on a greenfield site on the banks of the River Spey. "If there is one principle of planning law more firmly settled than any other, it is that matters of planning judgement are within the exclusive province of the local planning authority or the Secretary of State." (Tesco Stores v Secretary of State for the Environment  1 WLR 759 at page 780). Against this, the Cairngorms Campaign put forward several separate arguments - some specific to the particular sites and their circumstances, and some which applied to the Local Plan overall, and some based upon procedural failings. These included the CNPA's failure to give "greater weight" to its obligation to "conserve and enhance the natural heritage", its failure to make an adequate "Appropriate Assessment" under the Habitats Regulations, its failure to have sufficient regard to further obligations under the Habitats Directive, failure to have sufficient regard to the very critical findings of the Independent Reporters, failure to give adequate reasons for over-ruling such criticisms, and relying upon the existence of planning permissions which pre-dated the National Park, rather than reconsidering these afresh. These arguments, and others, were put most cogently, in writing and in person, by our senior counsel, Sir Crispin Agnew of Lochnaw, Bt QC, ably supported by our solicitors, R+R Urquhart of Inverness and Elgin, led by partner Jamie Whittle. From the various questions raised by Lord Glennie during the Hearing it was clear that he was fully appreciative of our arguments and their strengths and implications. However, after his detailed and lengthy consideration, Lord Glennie found that they fell short of over-turning the CNPA's right to propose and support such extensive housing developments in the Cairngorms, and that the CNPA's assurances of strict conditions to govern any actual developments are sufficient safeguard of the protected areas. Obviously, this is extremely disappointing to all the conservation bodies and supporters who have been involved with the challenge for much of the last two years, but more importantly it highlights how the Scottish model for National Parks offers completely inadequate protection for the landscape and biodiversity in the face of aggressive plans for housing and other development, even in the heart of a National Park. It seems this could not happen in England or Wales, where the National Parks were set up under a tighter legal framework, and where the Sandford principle is agreed to apply - ie that if there is a conflict between the interests of public enjoyment (tourism) and conservation, then "priority must be given to the conservation of natural beauty." (Lord Sandford, 1974). Further, it is provided that if it appears to the Authority that there is a conflict between the first Aim and any of the others, then the Authority "shall give greater weight to" the first Aim - ie to conserve and enhance. Lord Glennie considered these words and pointed out that even the obligation to give greater weight to the first aim does not guarantee that it will be followed - the CNPA can still decide that the need for housing estates is more important and push them through. Incidentally, the CNPA obviously regards the construction of a New Town as being "sustainable" economic development, and this is legally unchallengeable as the word "sustainable" in this context appears to be so flexible as to be effectively meaningless. You or I might believe that "sustainable" means being able to keep on doing the same thing year after year without damaging the environment, so that building a New Town or a large housing estate on a pristine natural site is completely unsustainable, but this is not so in planning law. We have given detailed consideration to Lord Glennie's Opinion, and have reluctantly accepted legal advice that the CNPA's proposals are not so unreasonable that "no planning authority could reasonably have reached that decision." However, we do believe that there are good grounds for challenging his decision in relation to aspects of the Habitats Directive, and so we have lodged an Appeal against his decision, which is planned to be heard In March 2013. This involves further substantial costs, and any contributions to the fight will be very welcome. It is fair to say that many conservationists have been very suspicious of the concept of National Parks, and particularly concerned by the Scottish model since they were introduced here, and this case has highlighted the wisdom of their concerns. 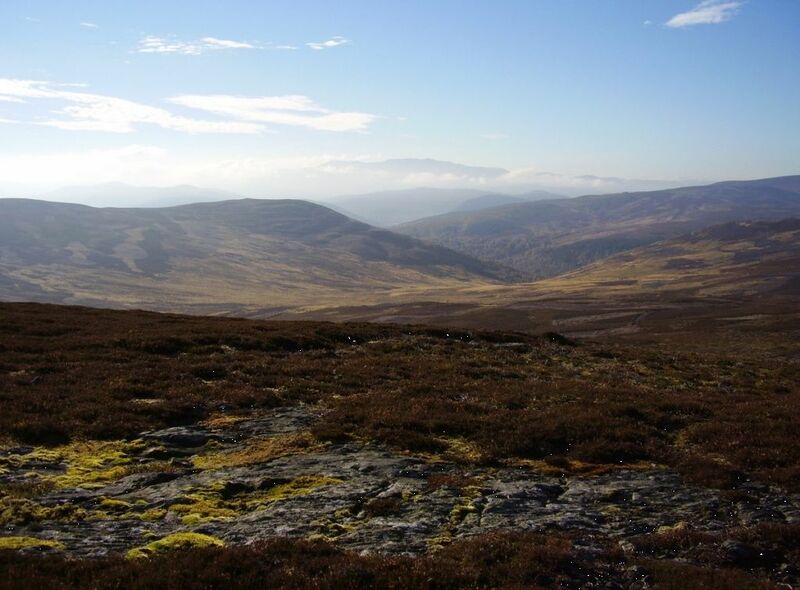 We are determined to do everything legal and possible to protect the Cairngorms from such grossly unsuitable development, and may take the matter further, to the EU, if the Scottish Courts do not prevent it. Ultimately, if the legal challenges are unsuccessful, the CNPA and the developers are likely to try to move swiftly to start work on these housing projects. To comply with the Habitats Directive and other requirements of building in such a sensitive area, the CNPA has set out many conditions with which the design and building work will have to comply. After winning this case so far, largely upon the strength of these future conditions and assurances, many will be watching very closely to make sure that they are fully met.